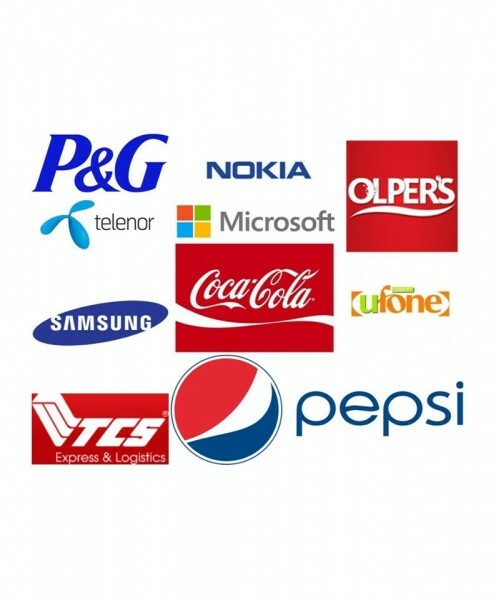 PAKIUM now gives chance to the brands, artists and businesses to advertise their products to online targeted audience of Pakistan. 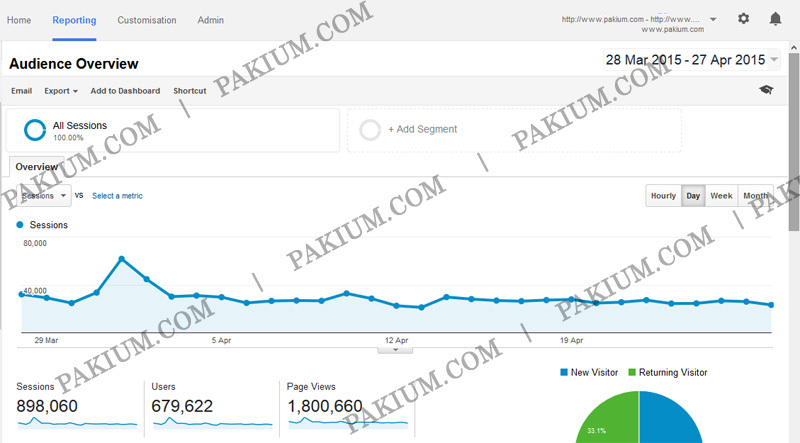 We have around 700,000+ unique visitors on our site each month which generates over 1.8 Million page views/month. The most of the web-traffic around 80% comes from Pakistan, the majority of which 68% lies in between the age group of 18-24. Due to its highly targeted “Pakistani” and “young” audience, it becomes an effective place for advertisers to promote their local businesses, products and campaigns. Our targeted audience includes musicians, want-to-be musicians, media persons, producers/directors, news and magazine editors, RJ/VJs and our community and support group who visit the site regularly to support the Pakistani Entertainment industry. 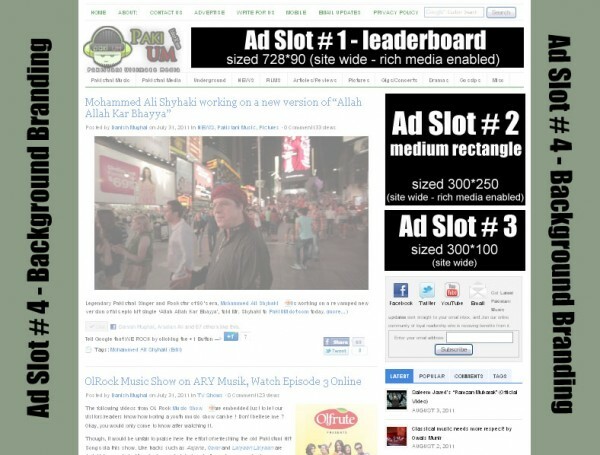 Other than selling ad spaces on site, We also offer the musicians and media persons to Stick their “videos” on the sidebar of our website. The embedded videos under the “Premium Videos” section are seen by all the visitors on site no matter what pages they are viewing. Currently, we are serving over 1,800,000 pageviews a month. For further customized creative ads or advertising details, please contact via below given details. We accept Paypal ( for international payments), Online bank transfer( for local clients) and Cheque (for media buying houses only) for payments of advertising. or Call: +92 312-382-9097 for the instant support.